In the search for the right subfloor adhesives, some basic needs have to be met for those using it. These subfloor adhesives have to be versatile while maintaining their strength, and also must stand up to the frigid conditions that many parts of the country deal with during the winter months. That’s why Titebond All Weather Subfloor Adhesive from Basic Components is the perfect option in any installation. It helps provide a backup surface that will offer a more sturdy presence, while also making sure that any irregularity or gap is accounted for when the job is completed. 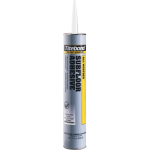 Titebond All Weather Subfloor Adhesive also makes sure to reduce the tedious level of nailing that’s required in such situations, and wipes out the annoying sounds of squeaky floors that emanate from below. In addition to the fact that it works best in cooler temperatures, the product can offer the guarantee that it won’t freeze. That makes it the perfect supplement to lumber that’s either CCA & ACA treated or that might be frozen or wet. However, other areas where these type of subfloor adhesives shine include particleboard, OSB (oriented strand board) and plywood. The value of Titebond All Weather Subfloor Adhesive becomes especially relevant as it pertains to the use of particleboard, since that ordinarily doesn't offer a great deal of resistance in relation to any form of moisture. That can often spell the difference between success and failure on a given project. As Basic Components prepares to begin its 30th year of serving their customers, the overall mission of the company is one that hasn’t changed. Regardless of where you’re located, how long you’ve been doing business with the company or how big your order might be, the bottom line is that quality products and reliable service at a competitive price are all part of a simple equation that drives the company each day. That type of math sounds about right, so contact Basic Components today.